Located just off the M8 between Junctions 3A and 4, giving good access to Glasgow, Edinburgh and Stirling. 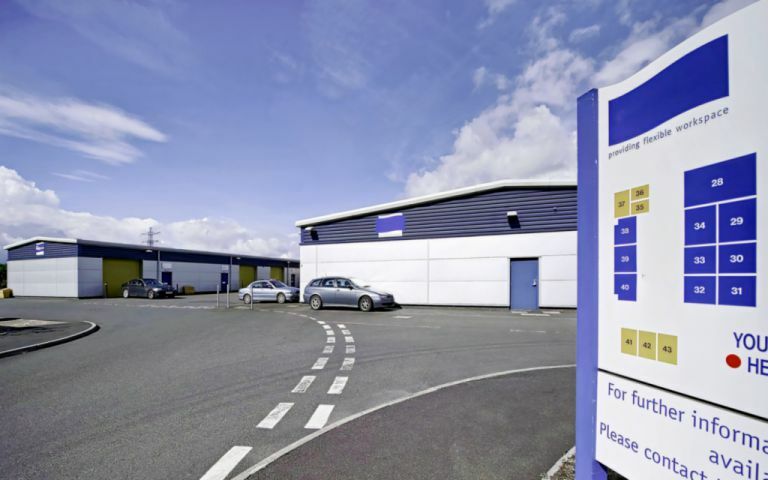 The Bathgate Business Centre provides and mix of good quality offices and workshop units to let on Easy In, Easy Out terms. OFFICES: Our offices range in size from 166sq ft to 789sq ft (15 to 73sq m) and are a mix of fully self contained or communal facilities. Offices can be rented on a furnished or unfurnished basis to suit your own requirements and are all equipped with telephone and high speed broadband connection. Immediate entry is available throughout. Licence agreement. Short Term Contract Easy In, Easy Out terms, only 2 months notice required. Flexibility for licence to move within the centre as your business develops and grows. Low Cost Capital Expenditure Our Serviced offices come fully furnished with workstations, chair, telephone handset and Broadband. Centre Manager dedicated in offering Free Business help and advice. Our Bathgate serviced office has excellent access to the M8 motorway for both Glasgow and Edinburgh. To reach the centre, leave the M8 at junction 3a. At the roundabout take the 1st exit on to the A89 (signposted Bathgate), then at the next roundabout take the 2nd exit on to the A7066. At the next roundabout take the 2nd exit on to the A7066. From here our centre is clearly signposted. We are only 6 miles from Livingston; 13.5 miles from Edinburgh Airport; 37 miles from Glasgow Airport; the nearest railway station is 1.5 miles.